Thanks to Joanna Wagner, who brought this to my attention. Not Available on DVD from Netflix. This blurb caught my eye: “It’s the 1960s. The height of the Cold War. The rural town of Granite Flats, Colorado, suddenly becomes a hotbed for mystery and intrigue.” (IMDb) A little more research reveals that this is an original, scripted drama from the folks at Brigham Young University TV. That’s interesting in its own right. Apparently the show has been on for BYUtv for the last three season, but now they have partnered up with Netflix to screen the whole show. To be honest, the few trailers I can find feel a little “after school special” to me, but I want to give it a fair shake because I love this era. This looks fairly average, but I do love anything with Michael Ironside in it. Not yet Available on DVD from Netflix. [UPDATE] I had my doubts for the first 15-20 minutes, but in the end I came out stoked about this movie. The visuals are stunning. (I can close my eyes and “see” the sandstorm sequence.) The tone is much closer to Mad Max and The Road Warrior than to Beyond Thunderdome. The story is fine, but it’s the spectacle that will impress you. Don’t wait for it to come to DVD — this is one that deserves to be seen on the big screen. I’ve not seen any previews for this on TV or in the theaters, which surprises me a bit, considering it opens Friday. Looks suspenseful. And I love what I see of the cast. 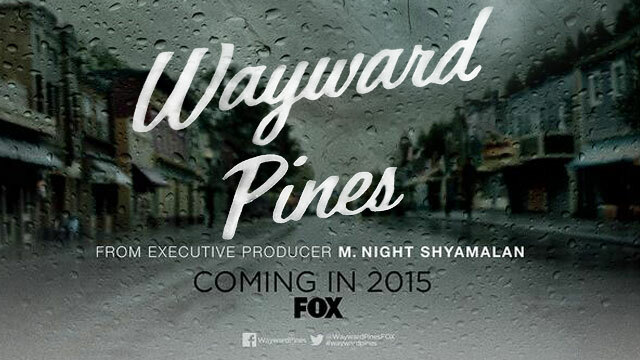 Wayward Pines | FOX | Thursdays | 9/8c | Starts this week, May 14th. UPDATE #1: I’m giving this orange status for now, based on one episode. I realized as I watched that I don’t really trust M. Night Shyamalan anymore. I adored The Sixth Sense and Unbreakable, but somewhere along the line, I realized that everythinghe’s done since is a trope, and there aren’t a lot of genuine twists to enjoy. I fear this is going to be like The Village, which was pretty and creepy, but essentially flat in the end. And that’s pretty much it for this week. I’m just coming off a four-day stint at the Paranormal Hotel, so I’m a bit worn out, but I hope to finish and post the next installment of Investigating a Haunting: Carlos Avery WMA, MN on Friday or Saturday. I also promised a little story to go along with a snapshot of an empty hotel room that I tweeted/facebooked a couple of days ago. (If everything goes just right, you might see that on Wednesday.) Right now, though, I have to catch-up to my word count goal for my novel project. Have a great week, Folks. Green = Have experienced. Recommended. A good movie that lives up to its reputation. It made me chuckle when you said he was the Jesse Ventura of the West … Jesse was the governor here in Minnesota, and it was a trippy thing. Maggie may not make it a theatre near you. It’s on Amazon Instant Video for $6.99 I’m watching Girl Walks Home Alone at Night esta noche.